It’s one and done once your home is built, right? No need to maintain it or schedule regular repairs. 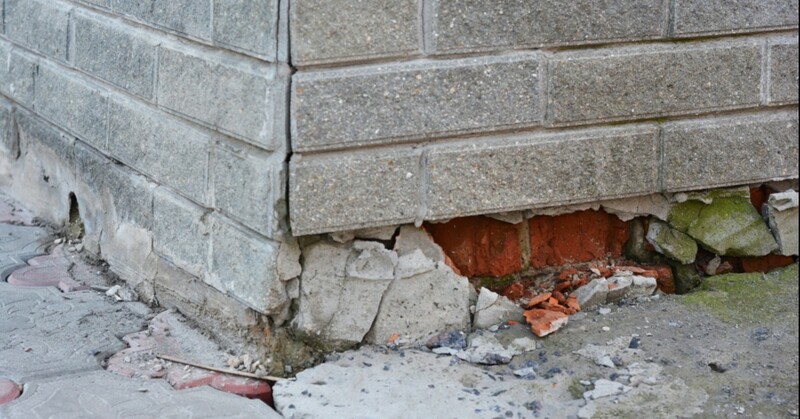 There’s definitely no need to look into foundation repair or concrete crack repair. Unfortunately, the above is obviously not the case. A home is something that needs maintenance just as a car does, and sometimes that maintenance can be something as involved and serious as foundation repair. If you’re in need of foundation repair in Nashville, then you can count on us. Here at A-1 Concrete Leveling and Foundation Repair, we have it right in the name! We’ve been taking care of foundation cracks and have been trusted foundation contractors in and around the Nashville area for more than 30 years. Read below to see how house framing could help with your house foundation repair, and then contact us today for a free quote! “Out of sight, out of mind” is not the adage to follow when it comes to your basement, crawl space, or any other area around your foundation. When you know you’ve experienced water damage, be sure to check out these often-forgotten places. You may need to fully replace or repair framing. A wet basement, for example, is a sign that it’s time for foundation repair. Nobody wants to think about those bugs, insects, and creepy-crawlies making a home in their basement or crawl space, but it happens — especially here in the south. It may not be hospitable for you down there, but it’s damp and dark, which is just what insects love. Unfortunately, they may work their way through wooden supports and other framing, therefore jeopardizing the safety of your home and foundation. There’s a reason it’s important to address foundation repair, concrete crack repair, leaky basements, and more early on: you need to keep you and your family safe. If you’re in need of new wall frames or need to repair water damage and don’t, then you could seriously risk your safety. You’re most likely going to sell your home one day. When inspectors come to evaluate it, you’ll most likely be without a sale if there is outstanding insect or water damage in your basement. Nobody wants to buy a home with a bad foundation and your problem is only going to get worse (read: more extensive and expensive) if you procrastinate foundation repair. Maybe you live near a fault line or your home is simply getting older. In this case, framing repairs could be good to strengthen your home’s structure. Think of it like repairs on your car: sometimes you need to replace parts to keep everything running smoothly. Whether you have foundation cracks, a leaky basement, or know you’re in need of framing repairs, you can count on A-1 Concrete Leveling and Foundation Repair. Our foundation contractors are experts in concrete foundation repair, basement crack repair, and identification of foundation problems. Contact us today for a free quote for your foundation repair in Nashville!